In the '80s, a defining online phenomenon—being able to use the internet for free—came from (of all places) Cleveland. Here’s the story of the Free-Net. Today's GIF comes from the movie Johnny Mnemonic. In the 1980s, Cleveland was on an upward swing municipally—with one of the city’s most popular and successful mayors, George Voinovich, helping to set the path forward after a disastrous tenure under Dennis Kucinich—even as the city itself faced elements of recession due to its status as a Rust Belt city. On the boom side of things was the city’s fast-growing medical field, most famously in the form of Cleveland Clinic, which emerged as one of the country’s most prominent health providers starting in the 1980s. Long affiliated with Case Western Reserve University, the medical provider would get even bigger in later years. Despite all that, there’s evidence that the most interesting hospital associated with Case Western in the 1980s might have been a facility with no physical building—certainly not one with the scope of Cleveland Clinic. Certainly, "St. Silicon's Hospital and Information Dispensary" could not compete with Cleveland Clinic in most of the ways that mattered. There was no door to walk through if you had an emergency, and it wasn’t like a doctor could even give you a diagnosis—the doctor couldn’t even see you. But its lack of traditional features, in some ways, was a virtue. You didn’t need an appointment, and you could get medical information from St. Silicon any hour of the day. You could even ask questions—and possibly even get an answer from a trained medical professional. The concept, conceived by Thomas Grundner, an assistant professor at Case Western’s Department of Family Medicine, was meant to offer answers to simple questions that the public had about their health. It was not meant to replace a hospital, of course, but it was a useful resource for someone who needed general medical information at a moment’s notice. All they needed to do was dial up the bulletin board. According to the Akron Beacon Journal, Grundner had the idea after some members of the public caught wind of the medical school’s internal computer communications system in the 1970s, in hopes of finding necessary medical information on the fly. “[T]he phone number to it got into the public domain and lay people started calling up and would leave medically related questions on that system in hopes that a physician would answer,” Grundner told the newspaper. That said, the system would only go so far in offering medical information. The experimental concept soon found a calling far beyond medicine. St. Silicon’s Hospital became the template for the world’s first general-information Free-Net, which came out of Cleveland in 1986, complete with support both from Mayor Voinovich and Ohio Gov. Richard Celeste. Grundner was closely involved in the creation of the Cleveland Free-Net, helping to organize public and financial support for his endeavor from other parts of Cleveland’s “boom” era, like Ohio Bell. 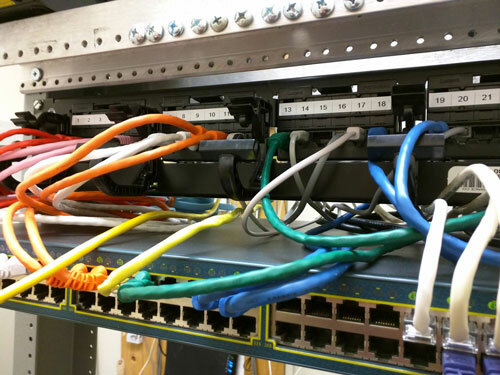 The system, notably, had the support of AT&T, which helped supply the computer equipment used to run the multi-line system. Case Western also was quick to show its public support. This was a notable outcome, as it isn’t always a guarantee when a university creates an important piece of technology that the school will publicly support it. And with the wide support from so many broad entities, encompassing the worlds of business, education, and government, the project quickly proved to be a major success, giving the public access to both information and ways to communicate whenever they wanted. Corporate America helped provide the hardware; professionals in a variety of fields, from doctors to lawyers to car mechanics, provided much of the early content; and Case Western helped fund upgrades to the new version of Cleveland that came to life on its campus. And over time, there were even upgrades. In 1989, Case Western launched an upgrade for the system, working on an IBM machine that could handle as many as 34 users at once. This was a big deal—and use of the Cleveland Free-Net soon surged. Clearly, this was an idea bigger than Cleveland. 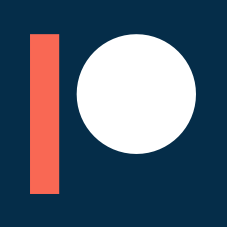 — A summary sheet explaining the mission of the National Public Telecomputing Network (NPTN), a nonprofit outgrowth of the Cleveland Free-Net system that hoped to replicate the Free-Net concept in communities around the country. The idea of NPTN was, effectively, to treat these free networks and local outposts in a similar vein as the public library. Grundner founded the nonprofit group, which was separate and distinct from Case Western, in 1989 and eventually left the university to run the organization full-time. The state of Michigan: The Great Lakes seem to be a breeding ground of early internet culture, and a major case in point on this front is the existence of a number of Free-Nets throughout the state, most notably in Detroit, which had become so dedicated to the Free-Net concept that it registered freenet.org. (Which is currently for sale, of course.) Likely helping matters is the existence of the state’s Merit Network, the longest-running regional computer network in the United States. Ottawa, Canada: Since 1992, the National Capital FreeNet has offered free or low-cost internet access to local residents of the Canadian capitol. Today, you can get a 50-megabit DSL connection from the FreeNet for $50 CAD per month ($39.95 USD)—and if you just want an email account, they’ll give you one for free. The group has helped to provide inexpensive access to residents at lower income brackets. Dillon, Montana: The Big Sky Telegraph, a digital project of what was then called Western Montana College and is now know as University of Montana Western, specialized in offering digital resources to a rural part of the country that stood to benefit from access to technology and training, earning notices from the federal government as a model for early digital access. The endeavor received help from early tech pioneer Dave Hughes, who Wired called “the best-known online personality in the country” back in 1993. Austin, Texas: While no longer offering a bulletin board-style experience, Austin Free-Net remains active into the modern day as a way to train the public on computer systems. “Austin Free-Net exists to make equal access to computing resources a reality,” the nonprofit explains on its website. Helsinki, Finland: Case-in-point that this basic idea had a wide reach? There was a Free-Net in Finland which at one point had more than 58,000 users in the late 1990s. The service, which offered free email to users, was intended as a gateway for Finnish schoolchildren. The Free-Net concept was many things, but one thing it was not was graphical. This, in the end, likely played a factor in its decline. Commercial networks were flashy, or fast. Free-Nets were stuck on pokey dial-up modems at a time when faster options like cable internet or DSL were starting to gain steam. 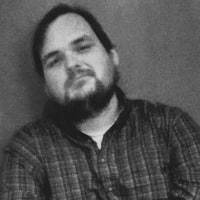 While the bulletin board systems and text-based internet connections of the early 1990s held much potential for digital pioneers, the problem was, not everyone was a pioneer—and municipal networks targeted at small communities naturally wouldn’t stand out compared to commercial services. Grundner, in a 1993 speech at the University of Illinois titled Seizing the Infosphere: An Alternative Vision for National Computer Networking, suggested that the Free-Net concept was intended as a happy medium between expensive commercial services like CompuServe and ramshackle hobbyist services like a BBS. “What we're trying to do here is to occupy a new middle ground between those two extremes,” he explained. The problem is, this calculus made more sense before the World Wide Web became prominent. The technology made it so that it didn’t really matter so much anymore how you connected to the internet, as long as you were able to get online at a speedy rate and using a graphical interface. At the time he gave this speech, AOL had yet to become dominant and a GUI-friendly version of the World Wide Web was just gaining its bearings at the University of Illinois. This created a clear dichotomy—while Free-Nets offered free internet, it was not the version of the internet people were talking about, the one with the web. As the Akron Beacon Journal characterized the issue in a 1997 article on computers at libraries: "Another problem is that because these terminals are often purchased with precious public funds, they are usually not the high-speed, up-top-the-minute technological wonders needed to take advantage of the latest developments on the internet." Given that context, it’s understandable that NPTN declared bankruptcy and folded around 1996. A number of regional Free-Nets would shut down not long after the nonprofit that helped bring them online did the same. The groups were already nonprofits by nature, working with limited budgets and getting by on a small number of volunteers or employees, and it would simply prove difficult to compete with a commercial ISP that could keep up with growing bandwidth needs by consumers, while maintaining all the other things that make nonprofits tick—like figuring out where new funding is going to come from. It was a recipe for obsolescence, one that befell many services that relied on dial-up terminal interfaces. Eight years ago, Free-Net launched pioneering operations in Finland for extensive electronic service for all citizens. Through the Free-Net service, especially the schoolchildren gained first contact with the world of computer networks. Cooperation has been uncomplicated and smooth. However, everything has its time. We had to give up our email services on September 30, 2001. Public funding of Free-Net declined year after year and it was impossible to continue. With only a handful of exceptions, you’ll find that most of the Free-Net providers from the 1980s and 1990s suffered the same fate, dying out around the turn of the 21st century. A recreation of the Cleveland Free-Net login screen at cfn.tangledhelix.com. 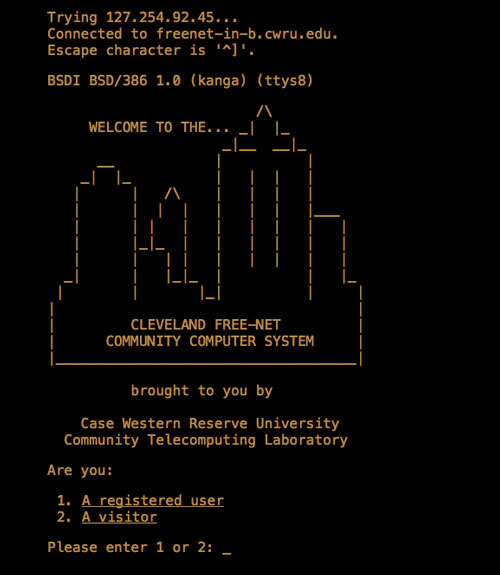 The login screen was notable for its inclusion of the Cleveland skyline. Even the Cleveland Free-Net, which is replicated on this website, faded from view in 1999, having failed to find a way to sustain the service beyond donations; while it made some money from licensing out the bulletin-board software the university had built, it was far less than the overall cost of running the service itself. “The Cleveland Free-Net, a remarkable achievement for its time, has been made obsolete by new technologies,” the Free-Net explained in a digital notice. The services that did stick around, with few exceptions, have moved away from offering community internet for free. Instead, they became closer to libraries in their conceit—offering services, rather than networks, to the community. These networks, designed for an era of tinny dial-up modems and intended to bring the benefits of networked computing outside of academia, were built with local communities in mind. But the local communities saw a shiny object and looked the other way. In a lot of ways, I would think about online communication before 1995 or so as the peeling of an onion, plucking off as many layers as possible to get to the center. The center, of course, is more onion, but by the time you get there, you don’t particularly mind. The Free-Net concept may not have been the way the world at large got online for the first time, but the civic-minded spirit of this idea is one that it’s easy to look longingly towards—in an era when civic-minded culture feels more distant than ever from the internet, looking back at the purity of the big idea that came out of Cleveland feels almost like looking in a funhouse mirror. For one thing, companies helped build these things out, rather than trying to make lots of money off of them. At a time when the phrase “paid prioritization” is spoken unironically in regards to internet usage, it seems refreshing that there was a time when AT&T just wanted to help a university. If today’s internet looked anything like the Free-Nets of the pre-web era, I guarantee you that the many annoying jerks we have now would still be there. But maybe the community would be a little tighter. The thing that excited us about the internet is that it helped bring far-flung people closer together. But it came at the cost of the tight-knit communities we built when we did everything in meatspace. It’s worth pondering if a Free-Net mindset in 2018 would be just a little nicer, a little more organized, and a lot more free—in more ways than one. Correction: An earlier version of this article misspelled the name of the Akron Beacon Journal. We regret the error.